The Rambler 30 oz. Kitchen-grade stainless steel with double-wall vacuum insulation will protect your drink at all costs. While the magnet on the included MagSlider Lid adds an additional barrier of protection for keeping drinks contained and preventing heat or cold from escaping. 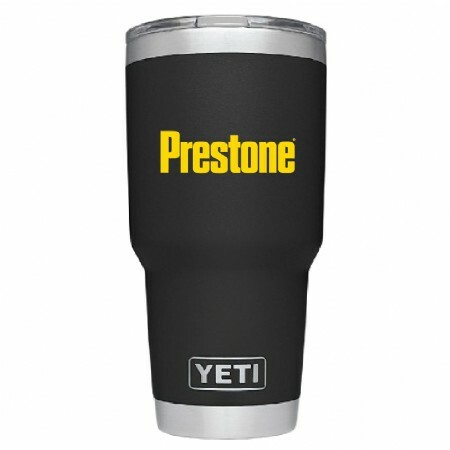 Features a black DuraCoat coating hat won't peel, fade, or crack and a yellow Prestone logo imprint.